A brutal assassin, a drug-addicted spy, and a vengeful widow are embroiled in a potentially world-shaking conspiracy in Gunn’s convoluted political fantasy, the launch title for indie Errant Press. When Ciris Sarn, a curse-bound half-jinn, murders Hiril Altaïr, he leaves behind four books of magic. They come into the hands of Hiril’s widow, Marin, and she becomes a target even as she hunts for her husband’s murderer. Meanwhile, Fajeer Dassai, one of the sultan’s advisers, plots to retrieve the books to make himself wealthy beyond imagination. His only obstacle is Pavanan Munif, leader of the Jassaj spies and warriors. 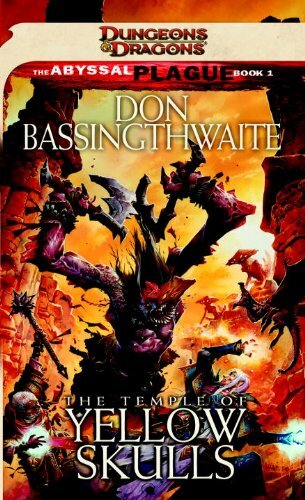 The story is told from multiple perspectives in short bursts of chapters, and the action never stops long enough to establish or ground the setting, leaving a confusing narrative of demons and usurpers that threatens to be the first of a series. 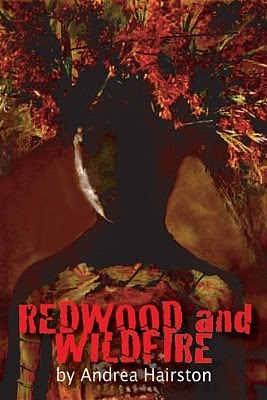 Redwood and Wildfire is a novel of what might have been. At the turn of the 20th century, minstrel shows transform into vaudeville, which slides into moving pictures. Hunkering together in dark theatres, diverse audiences marvel at flickering images. This ”dreaming in public” becomes common culture and part of what transforms immigrants and ”native” born into Americans. Redwood, an African American woman, and Aidan, a Seminole Irish man, journey from Georgia to Chicago, from haunted swampland to a ”city of the future.” Gifted performers and hoodoo conjurors, they struggle to call up the wondrous world they imagine, not just on stage and screen, but on city streets, in front parlours, in wounded hearts. The power of hoodoo is the power of the community that believes in its capacities to heal and determine the course of today and tomorrow. Living in a system stacked against them, Redwood and Aidan s power and talent are torment and joy. Their search for a place to be who they want to be is an exhilarating, painful, magical adventure. Blues singers, filmmakers, haints, healers. 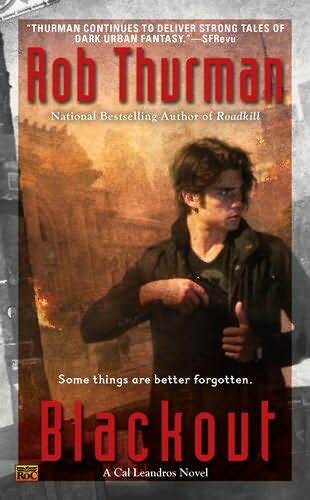 In October “Toby” Daye’s fourth outing, following 2010’s An Artificial Night, the half-Fae private detective is once again run through the wringer when problems plaguing the San Francisco Fae community strike home on a personal level. First, in an unprecedented, unexpected move, the Queen of the Mists promotes Toby to countess. Given that the Queen hates her, it’s quite obviously a trap, but not something Toby can refuse or avoid. Subsequently, several of Toby’s closest friends are struck down through poison and illness, and she’s accused of murder. Has an enemy from Toby’s past resurfaced, or is she losing her mind? Physically, emotionally, and magically drained, faced with tragedy and despair, Toby’s forced to deal with the long-hidden truth behind her Fae heritage. 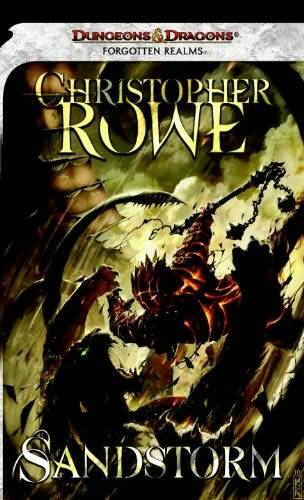 In this tightly plotted adventure, McGuire mixes nonstop action with a wealth of mythology to deliver a wholly satisfying story. 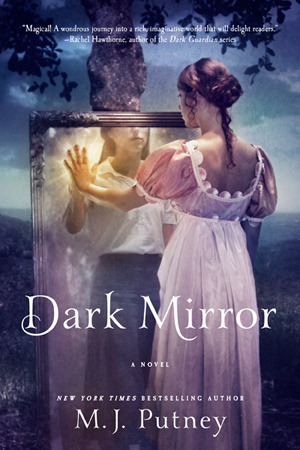 Abundant with tales of quiet heroism, life-changing decisions, and determined searches for deep answers, this extraordinary collection of contemporary fantasy explores the realms between this world and the next. From the top of the Berlin Wall to the depths of the darkest seas, gods and monsters battle their enemies and innermost fears, yet mere mortals make the truly difficult choices. 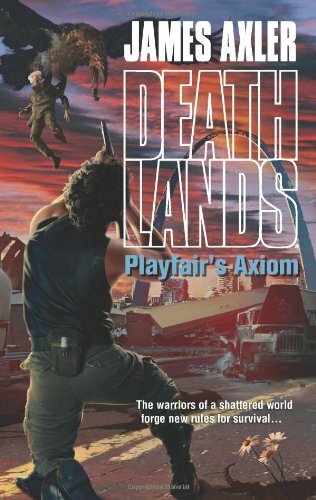 A slightly regretful author and a vengeful-but-dilapidated dragon square off over an abandoned narrative; the children of the Shark God demand painful truths from their chronically absent father; and a bereaved women sacrifices herself to change one terrible moment, effortlessly reversed by a shuffle of the deck. 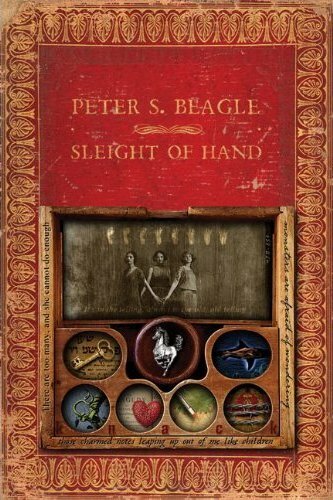 Whether melancholic, comedic, or deeply tragic, each new tale is suffused with misdirection and discovery, expressed in the rich and mesmerizing voice of a masterful storyteller. Archaeologist Annja Creed is in Katmandu, awash in its scents, sounds and liveliness. But this is no sightseeing trip. An old friend is in possession of a map that leads to a place that lies outside our world. But the map is known to one other—a vicious man who has Annja and her companions right where he wants them. Her hand forced, Annja sets out in search of the fabled Shangri-La—an expedition of danger and subversion. And her journey will end only with triumph…or tragedy. Adams (a joint pseudonym for C.T. 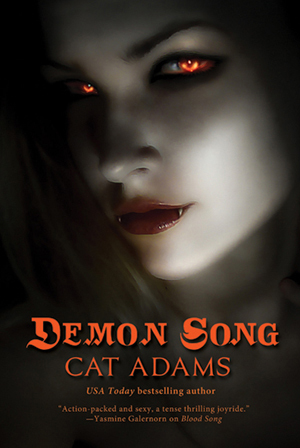 Adams and Cathy Clamp) delivers a satisfying third Celia Graves adventure to follow 2010’s Blood Song and Siren Song. Bodyguard by profession, vampire by accident, and siren by heritage, Celia leads a life of excitement and turmoil, struggling to control her bloodlust and dark impulses even as she discovers new abilities. Her attempts to maintain a normal existence are stymied by anti-vampire prejudice, a death curse, and a demonic invasion that could destroy the world. 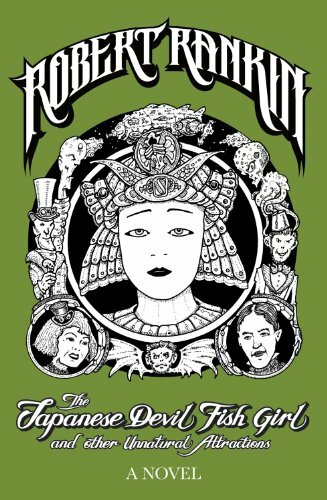 Her only hope lies in finding a set of long-lost artifacts, deciphering the prophecies of a deceased friend, and persuading quarrelsome allies to work together. 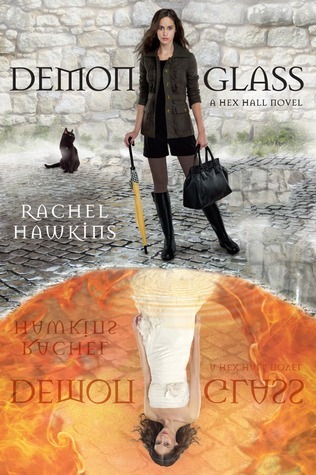 This series just keeps getting better, maintaining a delicate balance between urban fantasy and paranormal romance. The emotional components are just as strong as the action sequences, set against an increasingly interesting world. 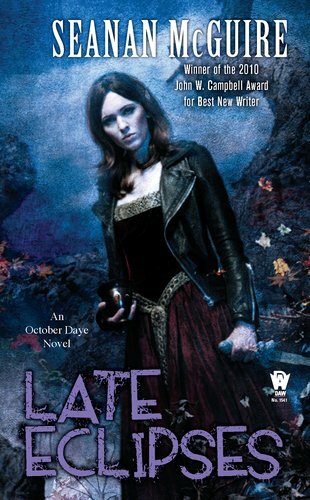 Genre veteran Matheson (I Am Legend) frames this bittersweet blend of fantasy and romantic suspense as the “true” reminiscences of 82-year-old Alex White, the author of such novels as Midnight Blood Thirst and Midnight Flesh Hunger under the name Alex Black. 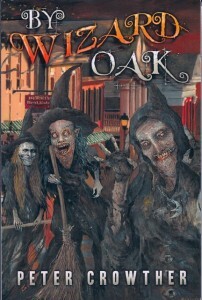 In the spring of 1918, the then 18-year-old Alex, a wounded soldier who’s been discharged from the American Army, settles in the isolated English town of Gatford, where he soon finds himself caught between two supernaturally empowered women: Magda, an alluring witch, and Ruthana, a charming faerie. Alex, himself powerless, is willing to make great sacrifices to be with his one true love, whichever one she might be, but their different natures and disapproving relatives may doom the relationship. Which of the two women Alex will choose is never really in doubt; the loser is clearly unsuitable and conveniently malicious in defeat. The self-pitying Alex may ramble in telling his straightforward tale, but Matheson remains as ever a competent craftsman. Savaged by the K’Chain Nah’Ruk, the Bonehunters march for Kolanse, where waits an unknown fate. Tormented by questions, the army totters on the edge of mutiny, but Adjunct Tavore will not relent. One final act remains, if it is in her power, if she can hold her army together, if the shaky allegiances she has forged can survive all that is to come. 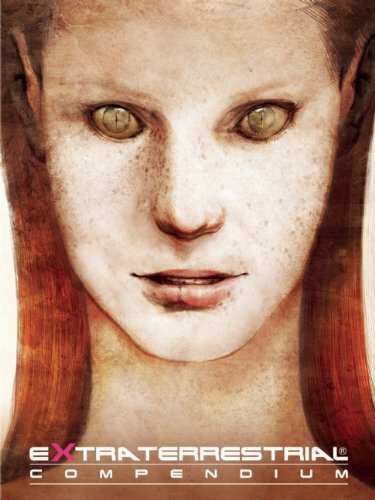 A woman with no gifts of magic, deemed plain, unprepossessing, displaying nothing to instill loyalty or confidence, Tavore Paran of House Paran means to challenge the gods — if her own troops don’t kill her first. Elsewhere, the three Elder Gods, Kilmandaros, Errastas and Sechul Lath, work to shatter the chains binding Korabas, the Otataral Dragon, and release her from her eternal prison. Once freed, she will be a force of utter devastation, and against her no mortal can stand. At the Gates of Starvald Demelain, the Azath House sealing the portal is dying. Soon will come the Eleint, and once more, there will be dragons in the world. 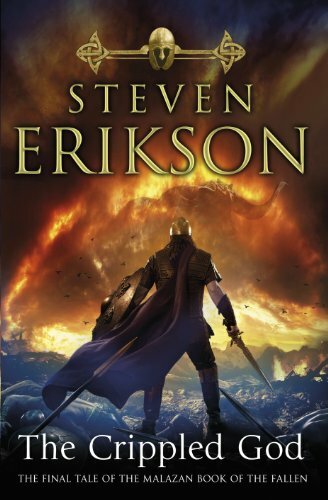 And so, in a far away land and beneath indifferent skies, the final cataclysmic chapter in the extraordinary ‘Malazan Book of the Fallen’ begins. 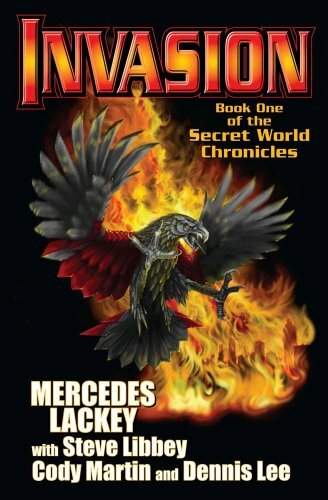 Invasion: Book One of the Secret World Chronicle, by Mercedes Lackey et al. 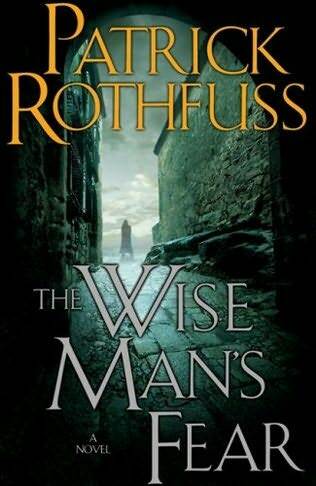 As seamless and lyrical as a song from the lute-playing adventurer and arcanist Kvothe, this mesmerizing sequel to Rothfuss’s 2007’s debut, The Name of the Wind, is a towering work of fantasy. 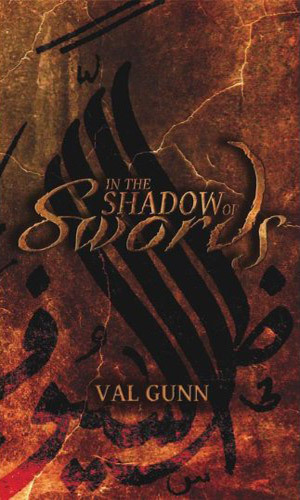 As Kvothe, now the unassuming keeper of the Waystone Inn, continues to share his astounding life story—a history that includes saving an influential lord from treachery, defeating a band of dangerous bandits, and surviving an encounter with a legendary Fae seductress—he also offers glimpses into his life’s true pursuit: figuring out how to vanquish the mythical Chandrian, a group of seven godlike destroyers that brutally murdered his family and left him an orphan. 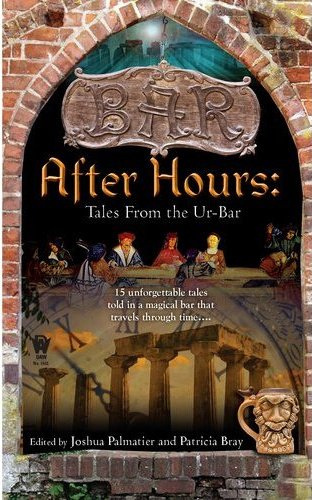 But while Kvothe recalls the events of his past, his future is conspiring just outside the inn’s doors. This breathtakingly epic story is heartrending in its intimacy and masterful in its narrative essence, and will leave fans waiting on tenterhooks for the final installment. 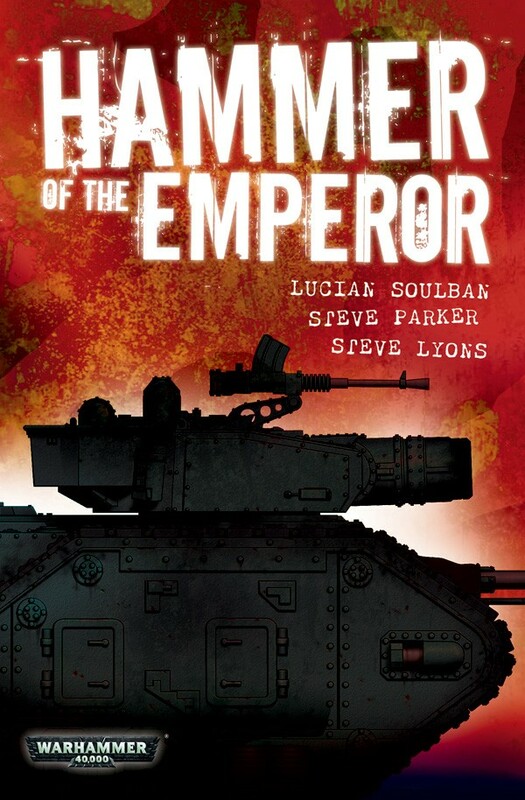 Across the war-torn galaxy, the Imperial Guard are a bastion against the enemies of mankind. From the punishing heat of Tallarn’s deserts to the bonechilling tundras of Valhalla, these are soldiers who give their lives in the Emperor’s name. Whether shoulder to shoulder or crushing their enemies in vast machines of war, they are unwavering in their devotion to duty. On a thousand stars, they repel the forces of Chaos and the foul xenos in an eternal conflict. This omnibus collects three tales of savage warfare and heroism in the frontline. 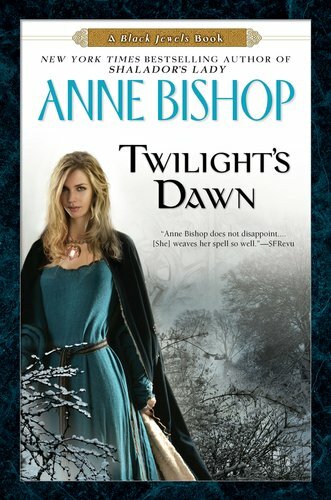 Bestseller Bishop fills out her popular Black Jewels dark fantasy universe (Daughter of the Blood, etc.) 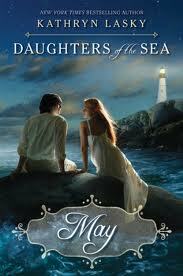 with this entertaining novella collection. Daemon Sadi, a black-jeweled Warlord Prince, deals with friends, family, and holiday celebrations in “Winsol Gifts,” while his brother, Lucivar Yaslana, has to thwart a traitor and his deadly trap in the richly entertaining “Shades of Honor.” A mother and her sons are threatened by a dangerous, twisted enemy in “Family,” while Daemon becomes a father and finds a new lease on life and love in “The High Lord’s Daughter.” Fans of the series will enjoy revisiting some favorite characters and mourn the loss of others; new readers may be initially confused by the myriad names and titles, but Bishop’s accessible writing style and interesting world-building will soon draw them into her web. At twenty-three, Jazen Parker has completed his Legion hitch a hero. But in four months, he’ll have a price on his head. Worse, he’s lost his past, and he can’t find his future. Worst of all, he’s chosen to search for them on the deadliest planet known to mankind. Beasts of New York is about a squirrel named Patch who, out of desperation and need, adventures beyond his home in Central Kingdom to try and save it. 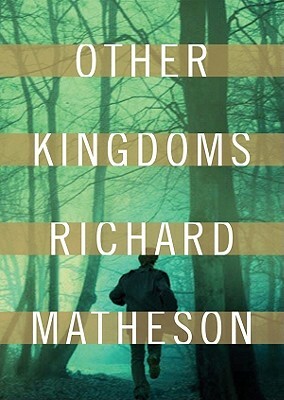 While it seems that fate is conspiring against him, taking him further from his home than any squirrel has traveled, his journey is a necessary step to saving all of Central Kingdom from the evil trying to consume it…. 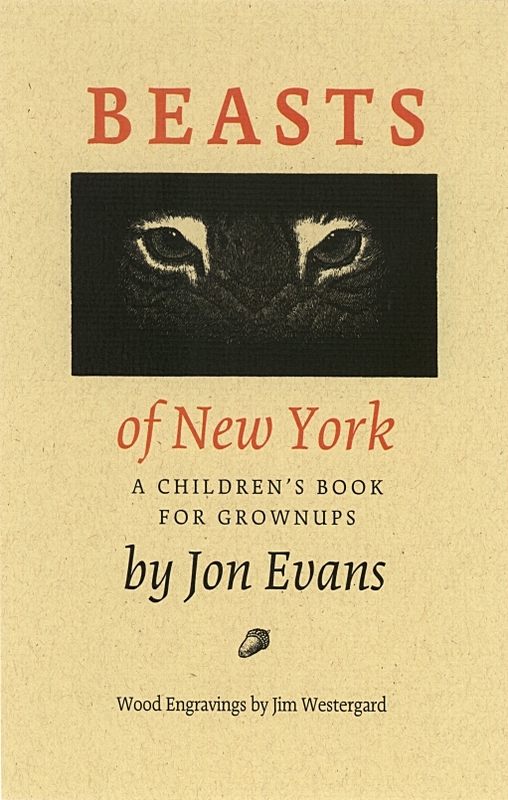 This book reads like a fantasy novel, even though it is set in New York City. The horrors that Patch encounters at times seemed so unreal to me, despite knowing where they were. Seeing them from another pair of eyes gave some things a new air of terror and others one of wonder. This is not a light novel. It is very dark, and at times absolutely horrifying, but I connected so much to Patch as a hero that, in the end, I was left with tears of relief and happiness in my eyes. 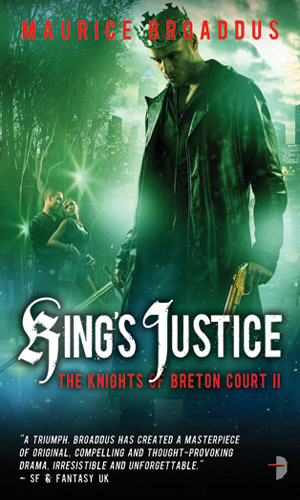 King Arthur and his court are reimagined as a motley but courageous group of young men and women trying to make the Breton Court housing project a better place to live in this refreshing urban fantasy, the sequel to 2010’s King Maker. King James White is the son of deceased and morally ambiguous neighborhood boss Luther. His right-hand man, Lott Carey, is an idealistic FedEx driver. Merlin and Morgana are genuine sorcerers, but are generally held to be crazy. Lady G. is particularly sympathetic: she’s young, scared, ambitious, and still not sure what or who she really wants. Notably, Tristan and Isolde cameo as Tristan and Isabel, a pair of star-crossed lesbians. New readers will find it easy to break into the series with this engaging tale of urban renewal and vigilante justice. Imprisoned in the void of a ruined universe by vengeful gods, Tharizdun—the Chained God, the Elder Elemental Eye—shares his exile with the Progenitor, a pool of liquid crystal that is all that remains of the Abyss that destroyed his universe. Enter our heroes Albanon, Shara and Uldane—all three adventurers readers will know from The Mark of Nerath. They thought their quests were over and done with, but danger still burns like the embers of a smoldering fire in the tall grass. The Progenitor was locked safely away, guarded by Albanon’s dead master, but early on our heroes realize it was stolen and released in the presence of the green dragon Vestapalk as he fell at Shara’s sword. 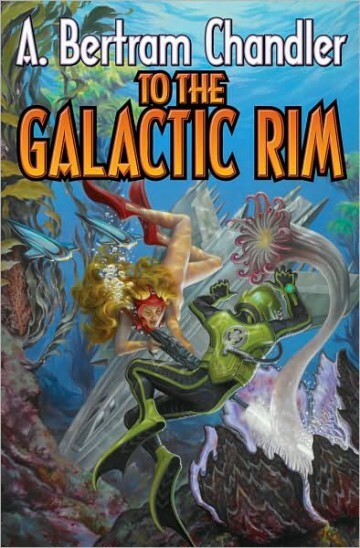 Rankin’s far-fetched steampunk sequel to The War of the Worlds! It’s 1895; nearly a decade since Mars invaded Earth, chronicled by H.G. Wells in The War of the Worlds. Wrecked Martian spaceships, back-engineered by Charles Babbage and Nikola Tesla, have carried the Queen’s Own Electric Fusiliers to the red planet, and Mars is now part of the ever-expanding British Empire. Professor Coffin has a problem: the pickled Martian’s tentacles are fraying at the ends, and his Most Meritorious Unnatural Attraction (the remains of the original alien autopsy, performed by Sir Frederick Treves at the London Hospital) is no longer drawing the crowds. 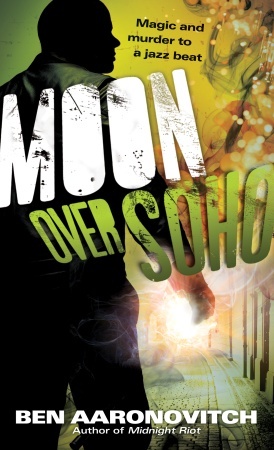 The less-than-scrupulous sideshow proprietor likes Off-worlders’ cash, so he needs a sensational new attraction. Word has reached him of the Japanese Devil Fish Girl; nothing quite like her has ever existed before. But Professor Coffin’s quest to possess the ultimate showman’s exhibit is about to cause considerable friction among the folk of other planets. Sufficient, in fact, to spark off Worlds War Two. MATT RICHTER’S GOING TO PIECES – LITERALLY. 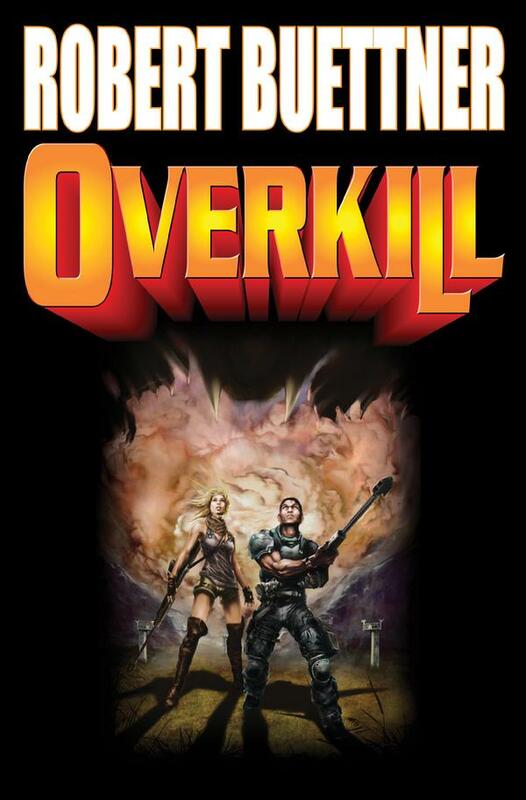 You’ve got to keep your head to survive in the teeming undead city known as Nekropolis. It’s a pity crazed genius Victor Baron couldn’t manage that. Now everyone wants a piece of him. The genasi control almost all of Calimshan for their djinn overlords–all but a few outposts like the floating Island of the Free, where escaped slaves from Calimport’s coliseum run their own brutal games. There, Cephas, a genasi with no memories of his past has spent his entire life fighting But one day a circus of misfits, lead by the crowlike Corvus Nightfeather appear and free Cephas–and for the first time Cephas can harness his inborn powers and control the ground beneath his feet. The newest Forgotten Realms® author brings his talents to an area that has changed dramatically with the fresh take of Dungeons & Dragons® 4th Edition. The powerful elemental race of the genasi and the xenophobic and ruthless cultures of Calimshan are revealed through the rise of the Forgotten Realms’ newest hero. Blackthorne (a pseudonym for John Meaney) follows 2010’s Edge with another over-the-top near-future action-adventure romp featuring retired British special forces operative Josh Cumberland. 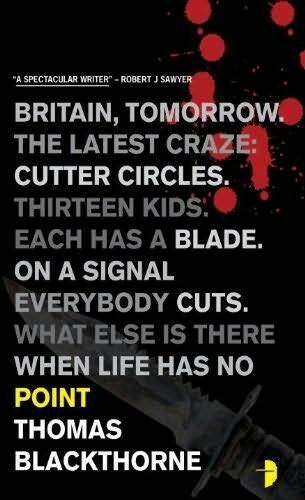 So-called Cutter Circles have been springing up: 13 dead teens in a circle, each cutting the wrists of the next. The teens don’t know one another, and news blackouts mean that they can’t be copycats. Cumberland, emotionally fragile since his daughter’s death, begins fitting pieces together as he tracks a scientist’s disappearance. Meanwhile, his girlfriend, Suzanne, an expert in psychosemantics who can modify behavior with a word, gets called in by MI5 to consult on the case. Their separate investigations become all the more urgent when someone they know, Opal, cuts herself as part of a failed Cutter Circle that provides valuable clues. The action moves so quickly that the overwritten prose and flat characterization barely register. 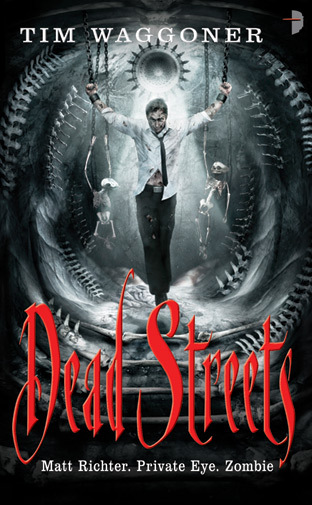 When half-human Cal Leandros wakes up on a beach littered with the slaughtered remains if a variety of hideous creatures, he’s not that concerned. In fact, he can’t remember anything-including who he is. Brigitta is a young Water Faerie from the village-nest of Tiragarrow. She s confused, moody, and anxious about going through The Change as she doesn t see how destiny markings on her wings should determine her life s path. 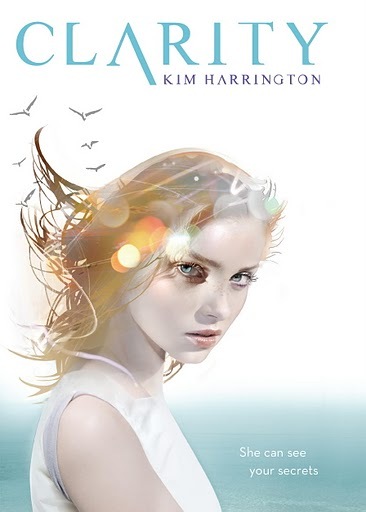 A few days before the annual Festival of the Elements, Brigitta is flying an errand with Himalette, her tag-a-long sister, when a mysterious curse turns everyone in the White Forest to stone — except for the two of them. The sisters have no idea why they were not cursed, but they do know if they don t turn everyone back in time for the festival rituals, the Hourglass of Protection will run out and so will its protective field around the forest. With no one in their forest left to help them, they must leave the protected realm to seek an exiled faerie they have only heard about in ancient tales. With assistance from a few allies they make along the journey, the girls find their way to Dead Mountain in search of the banished faerie. When they arrive, they find the help they are looking for, but soon discover that things are not what they seem. Running out of time, Brigitta and Himalette must use their wits to battle evil in order to lift the curse and save their forest. 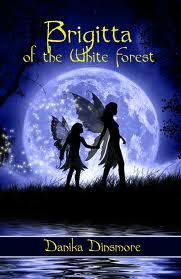 A book for those who enjoy fantasy adventure, Brigitta of the White Forest offers a new twist on the faerie tales so loved by young readers. 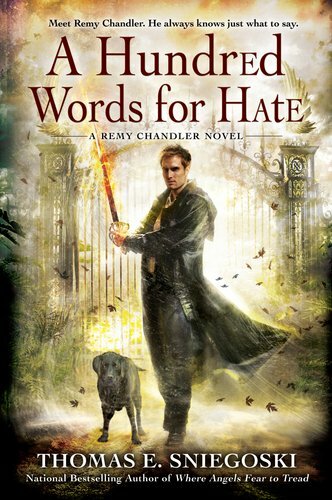 Sniegoski is back on track with the fourth adventure of angel-turned-PI Remy Chandler (after 2010’s Where Angels Fear to Tread). The Sons of Adam, who watch over the first man until he’s allowed entrance to heaven, hire Remy to help them find the long-lost key to the Garden of Eden, in the form of a descendant of Eve. 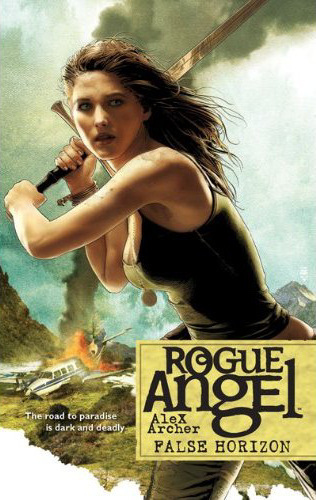 Along the way, Remy fights a violent cherubim, encounters the archangel Malachi, and finally begins dating again. Sniegoski nicely juggles a large cast and throws in some touching moments (Remy’s conversations with his late wife, Madeline, are especially sweet) and humor (as always, provided by Remy’s dog, Marlowe) to balance the epic violence. There’s more than enough nonintrusive exposition to let new readers jump into the story, while longtime fans will appreciate the development of recurring characters such as fallen angel Francis. 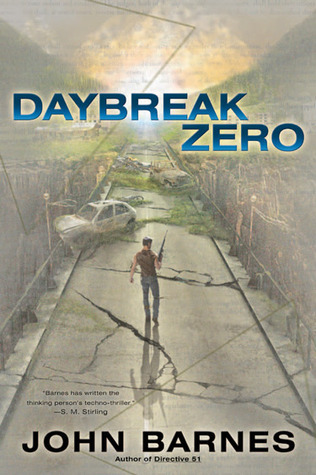 In late 2024, Daybreak, a movement of post-apocalyptic eco-saboteurs, smashed modern civilization to its knees. In the losing, hopeless struggle against Daybreak, Heather O’Grainne played a major role. That story was told in Directive 51. Now Heather’s story continues in Daybreak Zero. In the summer of 2025, she leads a tiny organization of scientists, spies, scouts, entrepreneurs, engineers, dreamers, and daredevils based in Pueblo, Colorado. Both of the almost-warring governments of the United States have charged them with an all but impossible mission: find a way to put the world back together. But Daybreak’s triumph has flung the world back centuries in technology, politics, and culture. Pro-Daybreak Tribals openly celebrate ending the world as we know it. Army regiments have to fight their way in and out of Pennsylvania. The Earth’s environment is saturated with plastic-devouring biotes and electronics-corroding nanoswarm. A leftover Daybreak device drops atom bombs from the moon on any outpost of the old civilization it can spot. Confined to her base in Pueblo to give birth to her first child, Heather recruits and monitors a coterie of tech wizards, tough guys, and modern-day frontier scouts: a handful of heroes to patrol a continent. All the news is bad: Tribals have overrun Indiana and Illinois; the last working aircraft carrier sits helplessly out in the Indian Ocean, not daring to come closer to land; the crash of one of the last working airplanes kills a vital industrialist; Tribals try to force appeasement on the Provi government while the Temper government faces a rebellion of religious fanatics; seventeen states are lost to the Tribals as California drifts into secession and hereditary monarchy, and everywhere, Provis and Tempers lurch toward civil war. Her agents have exceptional courage, initiative, skill, intelligence, and daring, but can they be enough? For the sake of everything from her newborn son to her dying nation, can she forge them into the weapon that can at last win the world back from the overwhelming, malevolent force of Daybreak? Her success or failure may change everything for the next thousand years, beginning from Daybreak Zero. 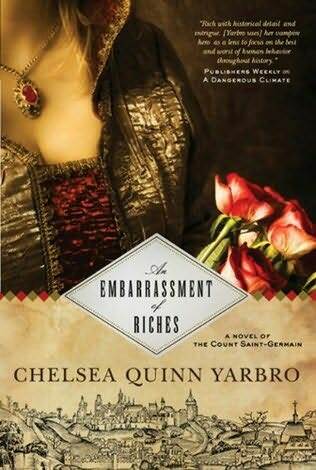 Yarbro’s long-running series featuring the millennia-old vampire Saint-Germain continues to mix rich historical detail and erudite eroticism, though the horror element has become nearly invisible. Known now as Rakoczy Ferancsi, Comes of Santu-Germaniu, Saint-Germain has been exiled from his ancient lands and now resides at the court of the melancholy Queen Kunigunde of Bohemia in 13th-century Prague. He is regarded with suspicion by the local church hierarchy and with intense personal interest by three ladies of the court: the scheming Rozsa of Borsod, the passionate teenager Imbolya of Heves (a particularly unlikely match for 3,200-year-old Saint-Germain), and the determined Iliska of Szousa. Though the intensity of the storytelling has lessened substantially over the course of the series, Yarbro’s compelling prose and meticulously researched setting still combine effectively for a vivid historical tale that will please series fans. Uncle Three loves good food, good booze, good card games, and bad women—and he’s never found a grave he wouldn’t rob. 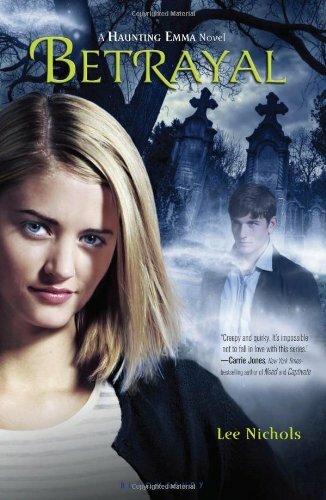 He can’t help it—it’s in his blood—grave robbing has been the family business for centuries. So when his bookseller nephew comes to him with a map to an ancient tomb, Uncle Three sets off to find it, in the company of some grave-robbing colleagues, his nerdy nephew, and a strange poker-faced guy that nobody can quite figure out. Uncle Three knows that the grave he seeks will lead him and his companions to “another kind of world,” but not even he could ever imagine what they are about to find. 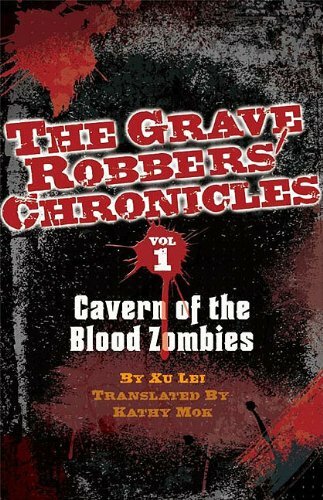 Lost in a labyrinthine cavern that is full of dead bodies, Uncle Three and his comrades fight for their lives as they come up against vampires, corpse-eating bugs, and blood zombies. Long on weird phenomena but short on explanations, this Halloween fantasia from PS Publishing founder Crowther (Windows to the Soul) sketches an imaginative, puzzling portrait of a small Maine town under siege from malignant supernatural forces. The day before Halloween, Magellan Bend is suddenly teeming with beings in traditional witch garb who ravenously consume random locals not only in body but in the memories of their friends and relatives. After providing a lengthy, panoramic view of the chaos and mayhem, Crowther sends deliverance in the person of Jeremy DePlage, a hospital patient newly awakened from an eight-year coma that rendered him immune to the witches’ memory wipes. The loose plotting of this slender horror tale will challenge impatient readers, but those who care more about atmospheric writing will enjoy the creepy chills. Just in time for the approach of the reputedly transformative year 2012 — a comprehensive collection of extraterrestrial life-forms as visualized and vividly rendered by Pat Lee of Transformers, DC, and Marvel comics fame, and his select group of artists. Within the UFO and exopolitics communities, there is both debate and consensus about many of the “known” extraterrestrial races, but seldom have they been revealed in this level of detail. To the believer, the curious, or just open-minded, The Extraterrestrial Compendium provides fuel for thought. For the first time, May learns what freedom feels like-the thrill of exploring both the vast ocean and the previously forbidden books. She even catches the eye of Hugh, an astronomy student who, unlike the townspeople, finds May anything but strange. But not everyone is pleased with May’s transformation. Rudd decides that if can’t have May, no one will. He knows how to destroy her happiness and goes to drastic measures to ensure that May loses everything: her freedom and the only boy she’s ever loved.